I know, I know, I’m letting my Arizonan show. I just can’t believe this weather. Same as last time, if you click on the pictures, they’ll get bigger. You can click a second time to zoom in a bit more. This picture was taken earlier this week. Flowers! It’s so cool! This was taken on Wednesday, April 16th. 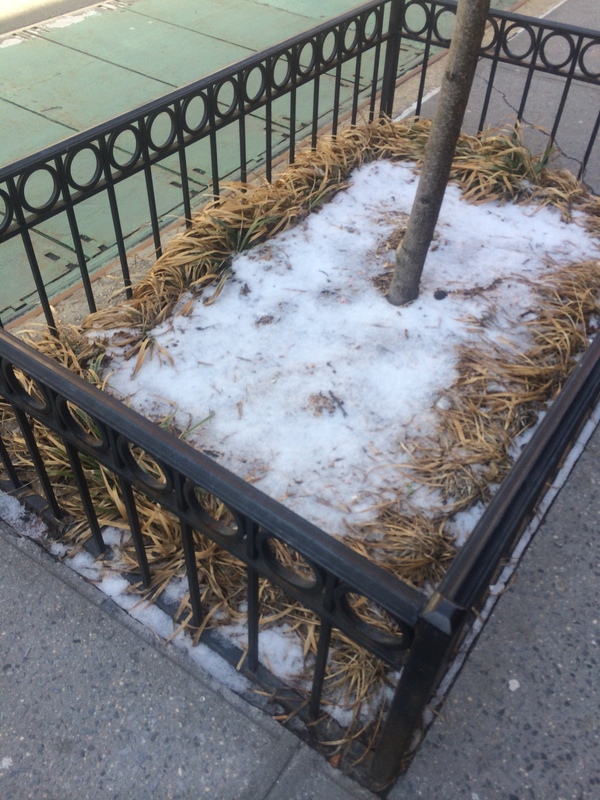 Yes, that’s snow and ice in the planter. this was in the afternoon; it fell over night, and then stayed all day. 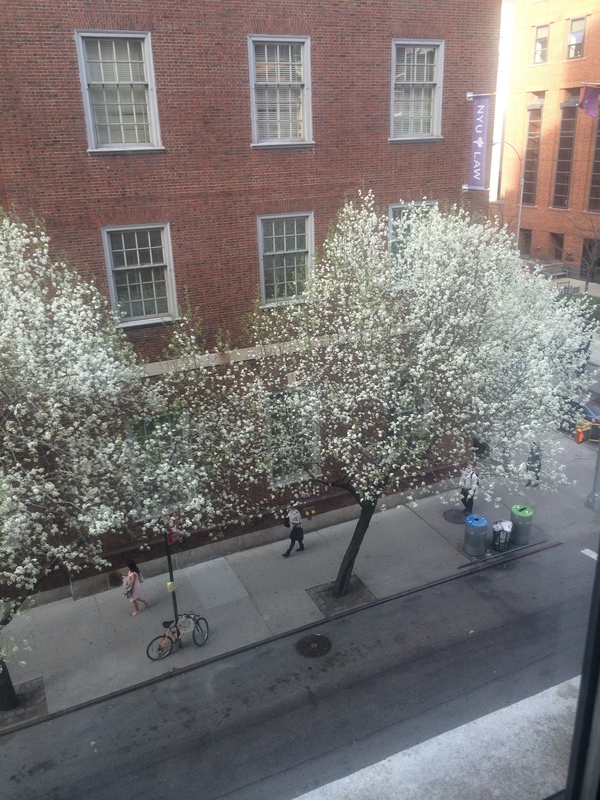 Today, the trees pretty much look the same as the above, but there are extra white flowers. No allergy problems yet, but I should probably knock on wood or something. There are some trees in the courtyard that have pink flowers… I want to try to get a picture of them, too, but haven’t had the chance. 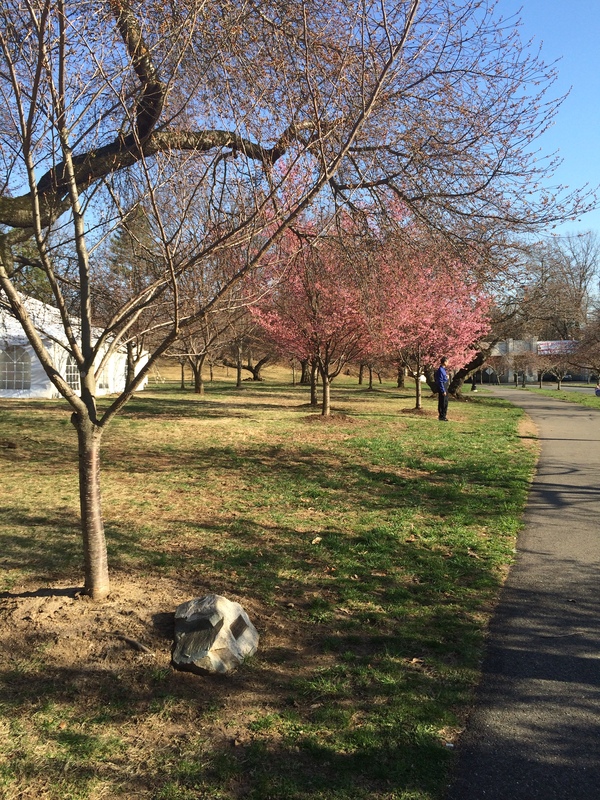 Just … Ignore the fact that the tree in front has no leaves or blossoms, and pay attention to the pretty pink. Look at how pretty! 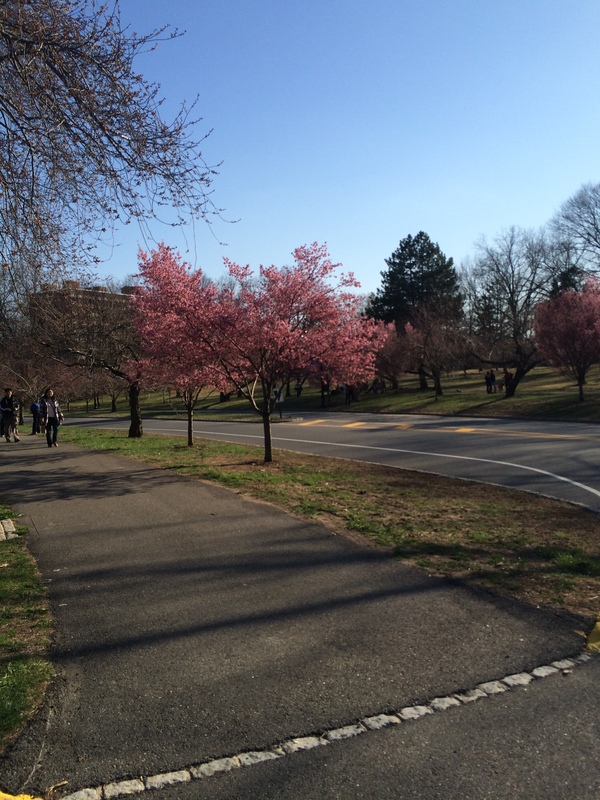 The weather was absolutely gorgeous. ← What’s Wrong With Those Trees? !